CELDi, through the NSF program Research Experience for Teacher (RET), is helping to bring engineering into middle and high school classrooms in Arkansas, Oklahoma and Missouri. Area teachers and university faculty work together to develop programs that introduce students to the field of industrial engineering and expand math, science and communication skills. CELDi currently sponsors 2 RET programs. The University of Arkansas hosts the IE Challenge and Oklahoma State University sponsors the Network Flow Models in Transportation and Logistics project. 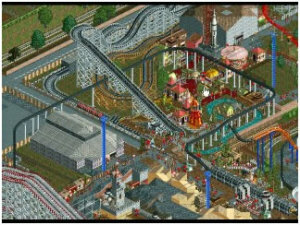 IE Challenge: Arkansas teachers, Melissa Miller from Lynch Middle School and Randall Reynolds from Gravette Junior High School, along with UARK Industrial Engineering faculty, developed the Roller Coaster Tycoon II project for the 2011-12 Annual IE Challenge competition. This popular program continues in an expanded form that includes new scenarios for Junior and Senior Division. The top 5 teams in each division will be invited to the University of Arkansas campus to compete for cash prizes. 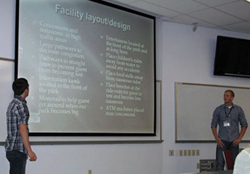 Students submit papers and give PowerPoint presentations to demonstrate their park design before a panel of judges. The 2012 IE Challenge finalist competition was held on April 21, 2012 on the University of Arkansas campus in Engineering Hall. 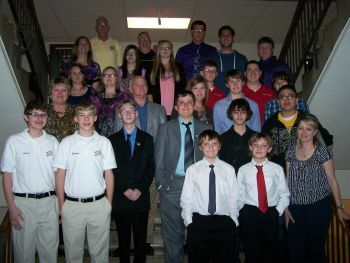 Eighteen Arkansas middle and high school students competed. What is the IE Challenge? The teams submit their park design proposal for competition in the IE Challenge. 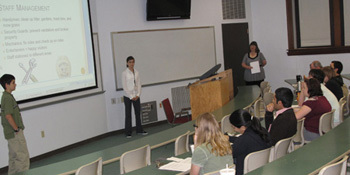 Submissions are evaluated by a panel of teachers and the finalists are invited to compete at the University of Arkansas on April 21, 2012. At the finalist competition, students make an oral presentation and complete a short design problem at a workstation. Professors and graduate students judge the competition. Cash prizes are awarded to the top 3 winners in each division. Organizers of the IE Challenge include Dr. Ed Pohl and Dr. Richard Cassady from the Department of Industrial Engineering at the University of Arkansas, along with Mrs. Melissa Miller (Randall G. Lynch Middle School) and Mr. Randall Reynolds (Gravette Junior High School). Melissa and Randall have worked for several years as representatives for the program called Research Experiences for Teachers (RET). The program is sponsored by the National Science Foundation (Award 0732686) through an award to the Center for Excellence in Logistics and Distribution (CELDi). 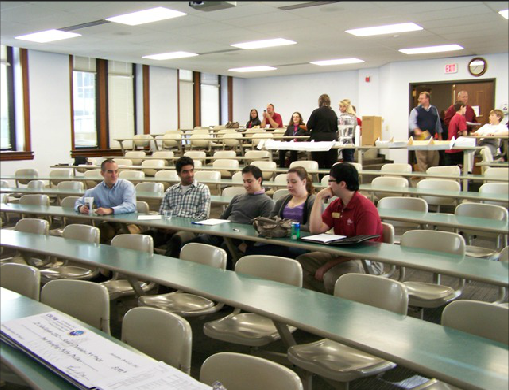 Students compete in the IE Challenge on the University of Arkansas campus. Congratulations to the 2012 competition finalists, their sponsors and to the division winners below!